SOURCE: Big Blue Bubble Inc.
TORONTO, ON--(Marketwired - April 16, 2015) - Big Blue Bubble, the largest independent mobile games developer in Canada, is pleased to announce that Mr. Vikas Gupta, Chief Executive Officer, is the recipient of the 2014/2015 University of Waterloo Distinguished Alumni Award. The Distinguished Alumni Award honours and recognizes significant service, contribution and achievements of alumni. This prestigious award is bestowed upon an alumnus who has demonstrated significant contribution(s) in professional or academic achievement and contributions to the community in volunteer leadership, humanitarian endeavours and community and public service. "The Distinguished Alumni Awards recognize the outstanding professional and personal achievements of alumni from the Faculty of Science. Our alumni share a passion to inform and transform the world around them. 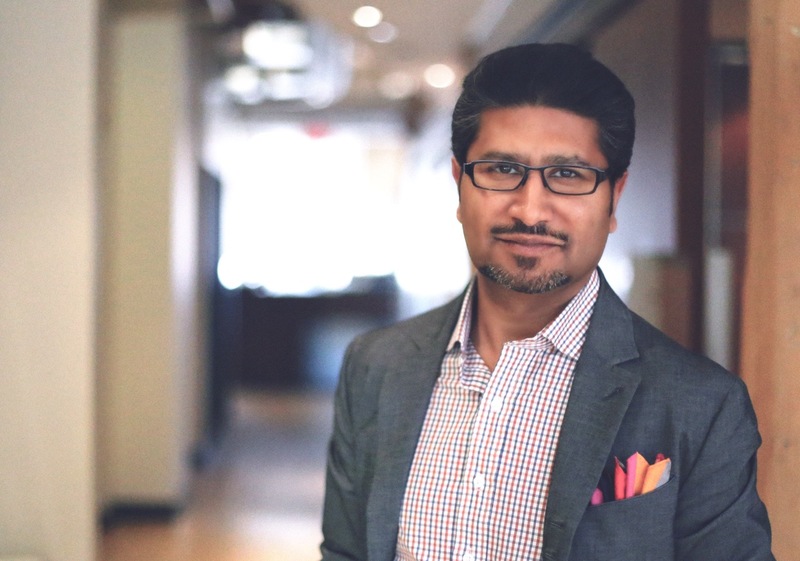 Vikas, as an entrepreneurial champion and tireless leader whose contagious enthusiasm has helped launch numerous organizations and start-up companies, is a perfect example of this spirit," commented Dr. Terry McMahon, Dean of the Faculty of Science, University of Waterloo. 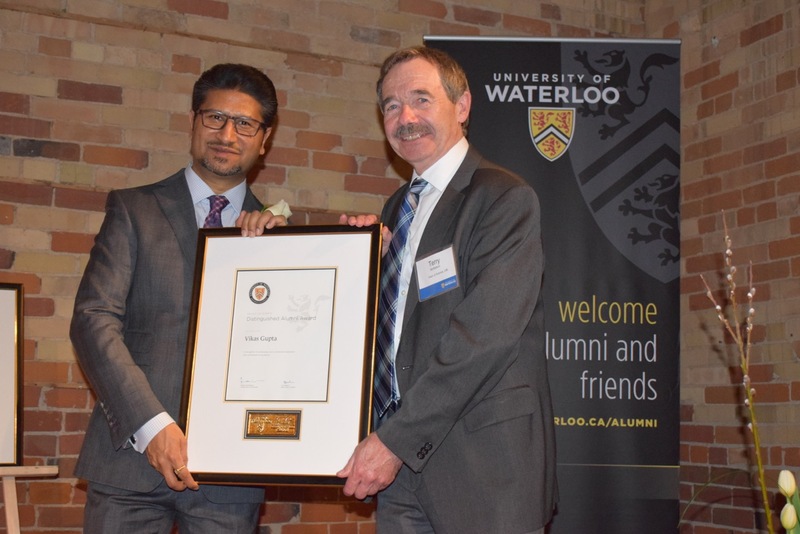 "We are truly proud of Vikas' dedication and revolutionary vision as one of Waterloo's most celebrated alumni." Mr. Gupta graduated from the University of Waterloo with an Honours Bachelors of Science degree. Finding his footing early on, Mr. Gupta embodied the entrepreneurial spirit that the University of Waterloo has become renowned for, launching his first company in his early 20's. Priding himself as a serial entrepreneur, his passion and drive ultimately led him to the electronic entertainment industry where he has become a notable veteran in multiple CEO roles. "My University of Waterloo years were formidable, influential, and among the most transformative of my life. It is during my academic journey that I learned the importance of curiosity and came to recognize that embracing uncertainty was the key to unlocking opportunity, a characteristic that has become the fabric of my career," remarked Vikas Gupta, CEO of Big Blue Bubble. "I am deeply grateful to the University of Waterloo for all that it has taught me. I am thrilled to be the recipient of such a meaningful accolade and am humbled by this wonderful honour." Mr. Gupta was awarded the University of Waterloo Distinguished Alumni Award on Wednesday April 15th. Big Blue Bubble is an acclaimed developer of mobile games, today ranking as the largest independent mobile games company in Canada. The company has released games that have been enjoyed by in excess of one hundred million users globally with major titles such as Home Sweet Home, Burn The Rope, My Muppet Show. The company's greatest success to-date is the much beloved and critically acclaimed mobile game My Singing Monsters, an original IP that is the recipient of several awards and a global fan base of tens of millions of players and growing. My Singing Monsters became a top ranking title for both downloads and highest grossing games on the iOS App Store and Google Play and has maintained this position since. The game continues to draw new audiences at record levels, with over one million new players being added monthly. About this company Big Blue Bubble Inc.